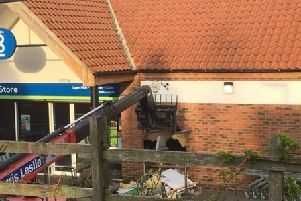 Lincolnshire Police have issued an appeal for information following three burglaries in the last week in North Kelsey. In all three incidents - which all occurred during daylight hours - money and/or jewellery were taken. A Lincolnshire Police spokesman said: “We are appealing to anyone who has seen anything suspicious in the last few days concerning a silver Vauxhall Combo Van with a dent to its rear side passenger side. If anyone has information, call 101 quoting reference number 357 of September 25 or email force.control@lincs.pnn.police.uk with reference 357 of September 25 in the subject box.